Tagged under Chimaki Kuori, Gonzo, Saint Seiya (Meta), Series. 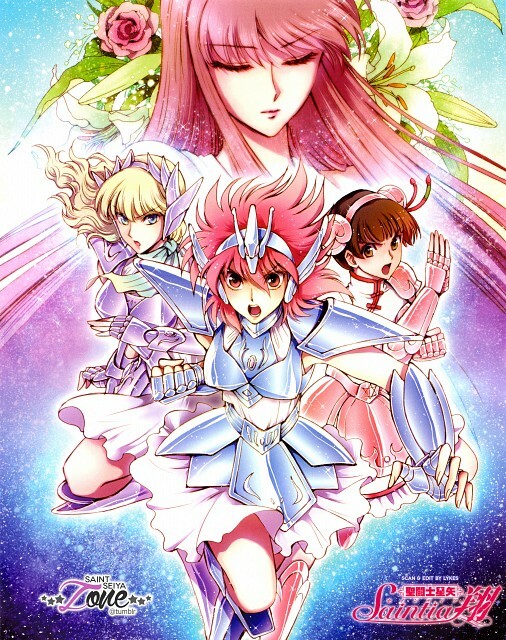 Set immediately after Saint Seiya, Saint Seiya - Saintia Shō follows the traditional central plot common to Kurumada's original work and its derivative works: Athena, the Greek goddess of justice and heroic endeavor, returns when evil consumes Earth, and battles antagonistic deities, the agents of evil, with the assistance of her army of warriors known as Saints, protected by their Cloths, battle armors that represent their guardian constellations. The main character in the series is a young female Saint named Shō, who protects Athena and her Sanctuary from the attack of Goddess of Discord, Eris. 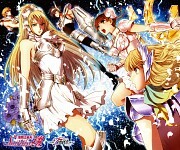 The series introduces a new class of female Saints, which are known as Saintia (聖闘少女（セインティア） Seintia, lit. "Holy Fighting Girls"), Athena's personal maidens. No feedback on Saint Seiya: Saintia Shou.